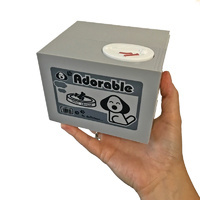 Little Dog Mischief Savings Box | Kids will go crazy over saving their pennies! Kids will go crazy over saving their pennies! The perfect savings bank for pocket money! Have fun educating your children about the importance of saving money in a cute and fun way! 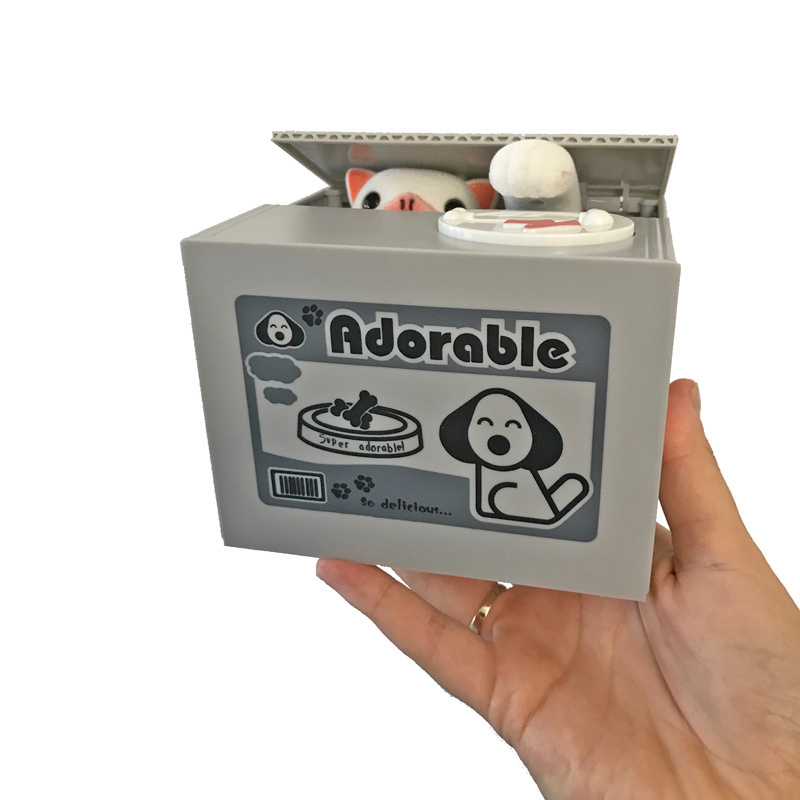 This super cute and cheeky puppy will sneak out of his box and steal your money away for safe keeping. Suitable for all types of coins, watch as he pops his head up, pauses for a moment to ensure the coast is clear, then proceeds to reach out with his paw and slide your coins out of reach. Coming in a grey money box, your puppy is white with pink features. He lets out an excited noise as he pops out! 1. Confirm that the coin tray is closed, then turn the bottom power switch to ON. 2. Put a coin on the white button, and gently press down on it, starting the process. 3. Your dog's head will rise up slowly like a jack in the box, he'll pause and then continue as his paw takes your coin! Please note: Your money bank works best with small change. Not suitable for 50c pieces. Dimensions: 12cm x 10cm x 9cm. Once the box is full, you can open it at the bottom to take out the coins.